It’s a complaint I’ve heard often from my peers, and I’d always thought that this happened because employers can be quite demanding with their requirements. But after working in my company for the past 2 years and being exposed to hiring, I see this issue works both ways. Sure, I won’t deny that competition is tough, but sometimes there is a good reason behind why most applicants don’t land that job position. Based on my experience (with some input from the HR team), here’re 7 types of job candidates we’ve received who have left us feeling confused, and not in a good way. 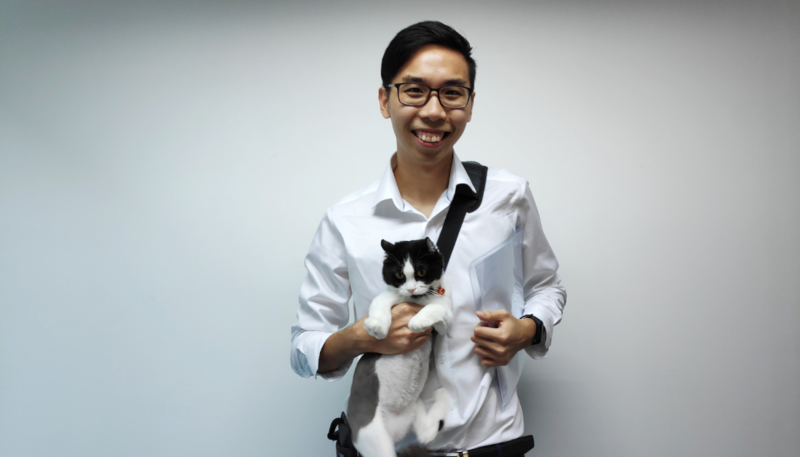 1) Job candidates who bring their parents, girlfriends, and cats to interviews. Okay, the cat part is an exaggeration but you get the idea. Not an exaggeration: we’ve opened the office door to greet a candidate only to have their father be the one speaking on their behalf and trying to join the interview. It’s a little hard to judge a person’s character or skills when their parent is the one doing the talking, and it feels unprofessional. Tip: Relatives, partners, or friends (and pets) can survive without you being next to them for a few minutes. Leave them at home (or at a nearby café) and attend the interview on your own. Even if the office says “pet-friendly”, that’s not something you should test at your job interview. 2) Job candidates who complain about the interview process. Normally, every company has their own procedures on screening through their potential candidates. Here, we assess candidates based on one key element: their writing. I’ve always thought this was a standard process, but our company has met candidates who don’t agree. They argued that it’s not fair to ask them to write test pieces (which we do not use or publish) when they haven’t been officially hired. It’s true that not all Malaysian publications practice this preliminary written test concept, but it’s not out of the norm. Many companies, especially in the creative field, require candidates to prove their worth through different tests such as coming up with a logo design for graphic designers or editing some clips together for video editors. Some companies even have 3 to 4 stages of interviews and written tests. Tip: Every company has their own way of testing their candidates, so don’t be surprised if you encounter it. 3) Job candidates who whine on social media publicly when the company doesn’t reply, or turns them down. Rejection hurts in any scenario, but sometimes people who are turned down feel that the blame has to be directed to the employer. In this age of social media, there are candidates choosing to post publicly about their application getting rejected. However, in a professional sense, if any company runs a social media check on the candidate in the future, seeing the rant might make them think twice. After all, no one likes a complainer or negative Nancy. The potential employer might just wonder if that complaining side is brought into the workplace too. Tip: Before going on that Twitter rant, send a follow-up e-mail to check on any updates or simply try your luck at another company. If the company did not give a reason for turning you down, you can politely request for an update, but don’t be too put out if there’s no reply. 4) Job candidates who brag about everything that’s not even relevant to the job scope. A lot of candidates easily treat interviews as storytime sessions where they feel like the employer has to hear about every single achievement or skill that they have. We’ve had candidates that can spend an hour just dishing out all their qualifications, from their participation certificate in middle school to their attendance award in university. But relating it back to the company and how they can use their skills to better the company? Non-existent. Tip: Look through the job requirements of the position once more before the interview and make a mental note of all your skills that you think fit the bill. Your employer only needs to hear that, not about any magic tricks you learned off of YouTube. 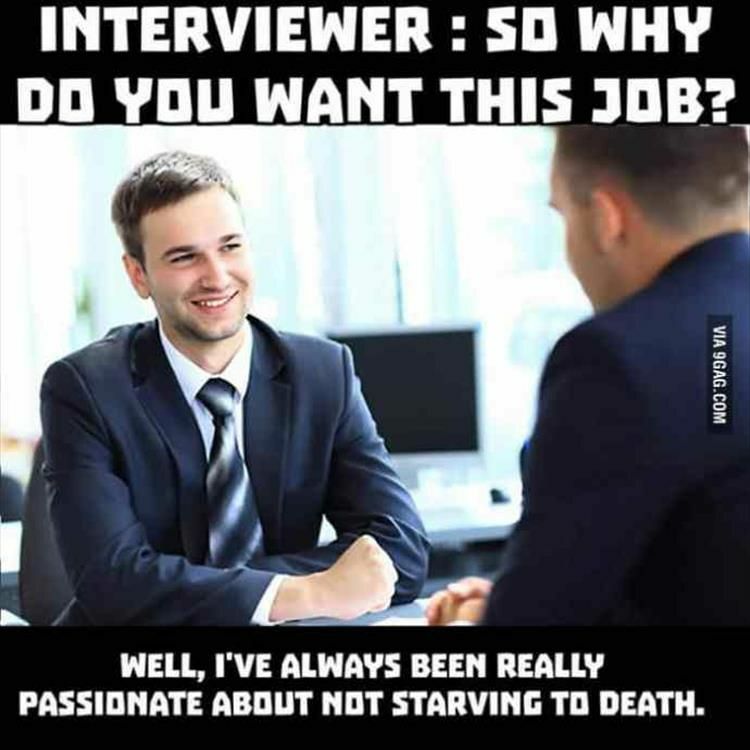 5) Job candidates who are too honest. It’s never a good idea to lie during an interview but sometimes being too transparent can give the wrong impression. We’ve had situations with candidates where they openly confessed their real intentions or thoughts during the interview. Two classics are candidates stating that they applied for the position because it’s “close to home”, and confessing that they didn’t actually research about the brand before applying. Tip: Lying is bad, but to give you a fighting chance at getting accepted, don’t be too transparent and instead show an eager personality to learn. A company worth its salt will be looking for talent that actually cares about what the company is like and does, so initial research is important too. 6) Job candidates who “ghost” you after the first interaction. Not all our “bad” candidates fall through because of their interview evaluation—some of them get disqualified because they simply vanished. We’ve had a few candidates who showed great potential and seem eager to take the job offer with us, but once they leave our office, it’s like they’ve disappeared as well. Tip: Don’t burn your bridges. Assuming that you’re applying for a company because you’re interested in the industry, word gets out. You don’t want to be known as the “flaky” candidate who doesn’t even return phone calls. Just let the employer know (politely) that you’ve considered the offer, but would like to turn it down. 7) Job candidates who are overly sensitive and cry at any hint of rejection. There have been times that we’ve turned a candidate down on the spot during the interview process, mainly because we don’t want to waste their time or ours, and also to avoid false hopes. But this doesn’t bode well for those with fragile hearts. There have been moments where candidates start crying upon rejection, which just makes things awkward. We’ve had to do some mini on-the-spot counselling sessions, and these do not leave a good impression. Tip: Remain professional at all times. Keep the waterworks held until you get to somewhere more private, and remember—even if you get turned down at this point in your life, who’s to say that the future won’t change, especially if you go out and up your skills and experience? If you’re an employer, you probably resonated with at least one of the points. We approached a few HR managers to ask their opinion and they shared the same pains, which show that this is a common issue companies face. Behind the scenes, employers have to go through a lot of steps before they can find the right candidate and it can be a tiring process. Before they even come in for an interview, imagine needing to filter through a 100 candidates like those listed above before getting a few that fit your company culture. Ain’t nobody got time for that! But there are services now that can help employers skip through these tiring steps and go straight to candidates that show great potential. SlingApp, a job-hunting service that connects employers with employees, uses their AI technology to help employers hire faster and smarter by shortening the screening process and getting the right qualified applicants to your mailbox. They have a premium package to offer where employers can get all their job ads featured first, with unlimited number of Qualified Applicants (QAs), and have their company verified, costing at only RM199 a month. This is a minor price to pay when you’re saving yourself the experience of having to deal with these type of job candidates firsthand! For more information on SlingApp and the packages they’re offering, you can click here.